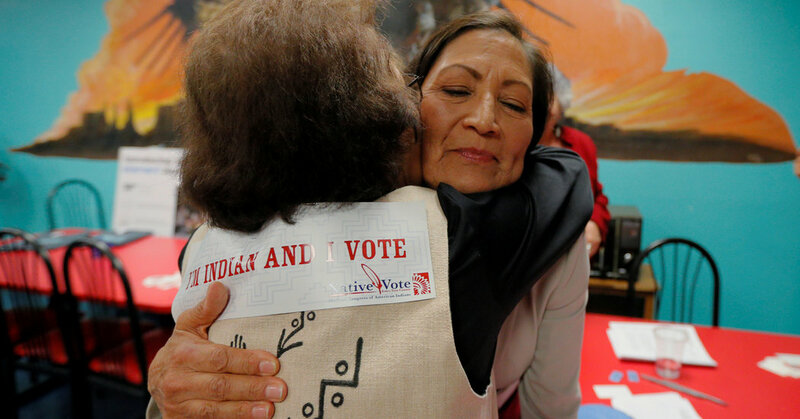 Another congressional race in New Mexico involving a Native American candidate was decided on Wednesday night, with the Republican, Yvette Herrell, a member of the Cherokee Nation, losing to Xochitl Torres Small, a Democrat and water rights lawyer, after absentee ballots were counted. Unlike many Native American politicians in other races, Ms. Herrell did not promote her indigenous heritage while campaigning. In Kansas, Ms. Davids can add another first to the record books: She is the first openly lesbian candidate to be elected to Congress from the state. She attended Cornell Law School and was a White House fellow in the Obama administration before mounting a campaign highlighting her heritage, sexual orientation and martial-arts mettle. Jean Schroedel, a professor of political science at Claremont Graduate University in California, who studies Native American voting rights, said Ms. Davids’s campaign offered a blueprint for other candidates seeking to frame issues from a Native American perspective.